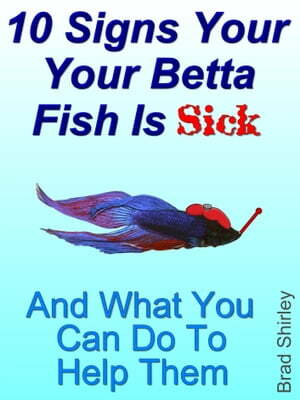 Collins Booksellers - 10 Signs Your Betta Fish Is Sick by Brad Shirley, 9781310855849. Buy this book online. This is a "cut to the chase" book that tells you the 10 most common disease&apos;s your Betta fish get and how to cure them. Straight "No fluff" answers that will put your fish back on the road to good health. Keeping fish is the hobby of many people. However, it requires great care in keeping fish safe as fish are likely to be infected by insects and other water bodies. They can also become ill if the water in which they are residing gets stagnant in some other way.